Enjoy the easter holidays in this beautiful island with car rental included to make sure you explore until the very last corner. Capdepera is a historical village just 8 km from Artà. Originally there had been a watchtower where the Castle of Capdepera stands today which was used to guard the coast. In 1300 James II of Aragon ordered the construction of a fortified village which would control the uninhabited land below and the maritime routes with Majorca. 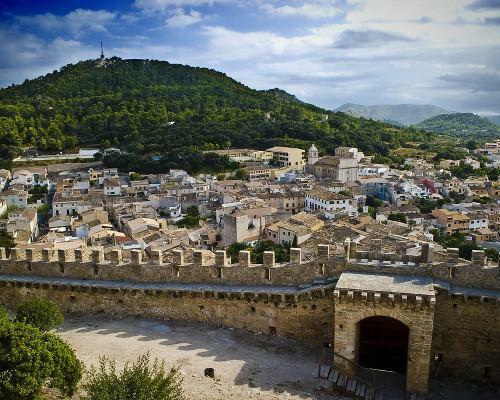 For centuries the town survived behind its walls protected from pirate attacks. As the danger of such attacks disappeared residents of the walled town started to relocate themselves at the bottom of the 162m hill which led to the development of modern-day Capdepera. The better known town of nearby Cala Ratjada actually developed as the fishing and trading port of Capdepera and to this day operates a ferry service with neighbouring Minorca. Son Jaumell es un hotel rural ubicado en Capdepera ideal para su descanso en Mallorca.